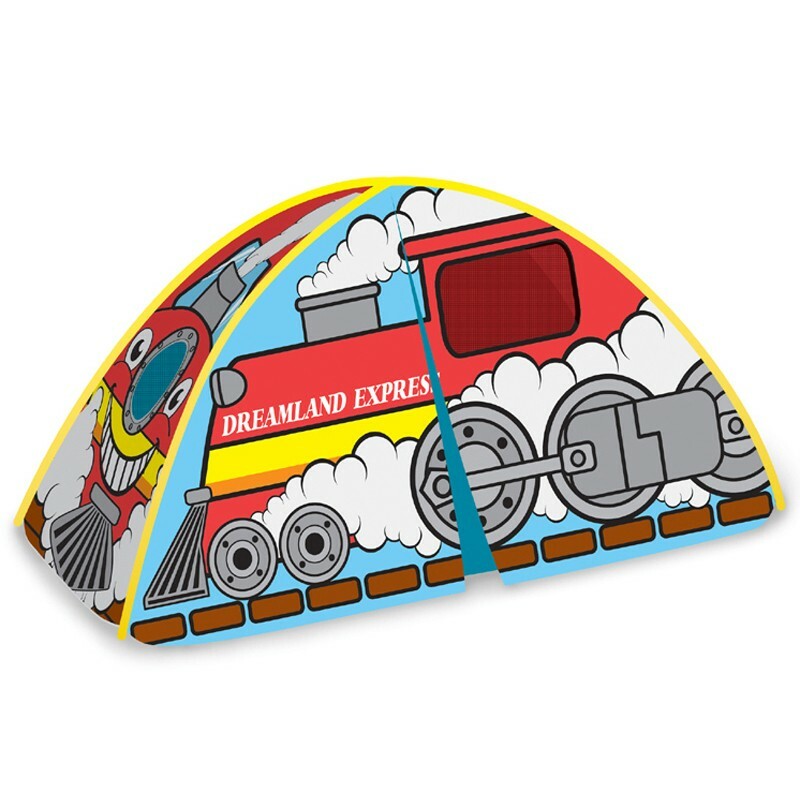 All aboard for the new Pacific Play Tents "Dream Land Express" Train Bed Tent. This super fun engine will take the most demanding conductor to sleep land. The "Dream Land Express" bed tent has mesh windows in the front and rear as well as two sets of side windows, for excellent ventilation and easy viewing. 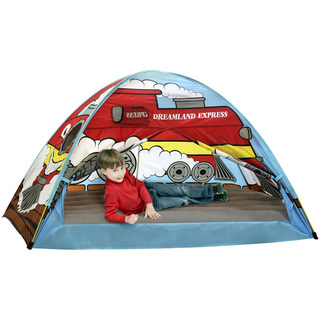 This fun tent may also be used on it's own when placed upon a flat floor. Dual Zippered entrance may be secured open or zipped closed. Uses patented "G3" poles for durability and safety. Fun creative graphics encourages imaginative playtime at any time of the day or night. The easy to assemble lightweight frame supports a colorful polyester taffeta shell and has a wide opening "T" style door. The tent provides a secure play area for hours of stimulating fun as well as a snoozing sleep experience at nigth. A real treat for any train-loving child. Sewn in interior accessory pocket. Fits standard full/double size bed. Nylon stoage bag included.